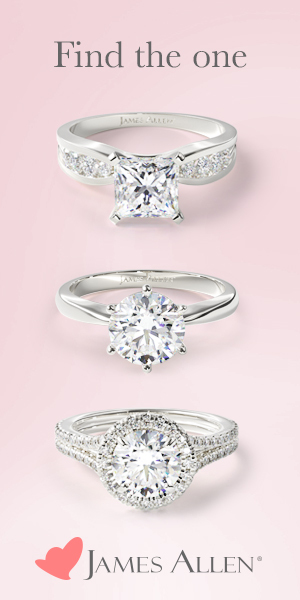 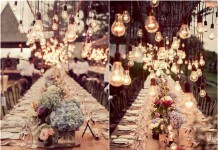 Creative lighting can help you set the ideal atmosphere for your wedding. 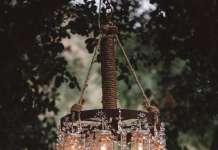 You’ve probably noticed more and more suspended wedding decoration out there. 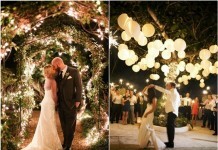 Why not add some glow to this romantic trend by using string or hanging lights? 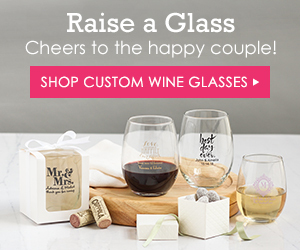 They are not only perfect for reception decoration, but also make stunning photo backdrops! 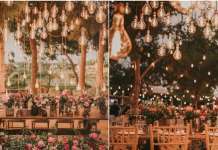 I’ve collected some inspiration today to show you how gorgeous hanging wedding lights can be; get ready for these sparkly ideas!